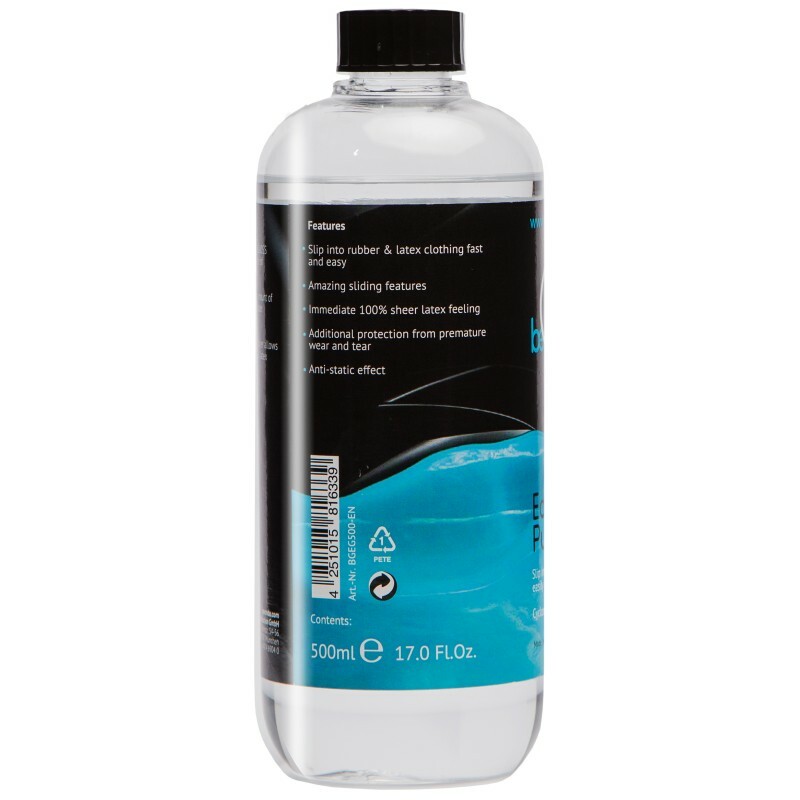 beGLOSS EASY GLIDE - 500 ML - Easy Glide - Pure Feeling - Slip into rubber & latex garments fast and easy with our lubricant dressing aid. beGLOSS EASY GLIDE – Pure Feeling – latex dressing aid - slip into latex garments fast and easy. 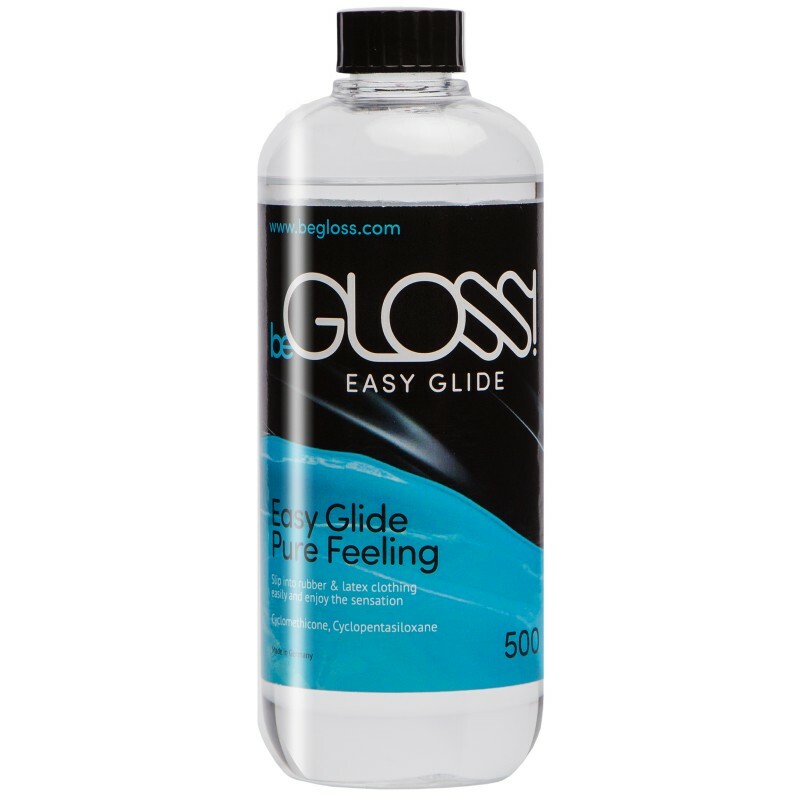 BeGLOSS EASY GLIDE makes getting into latex garments simple. 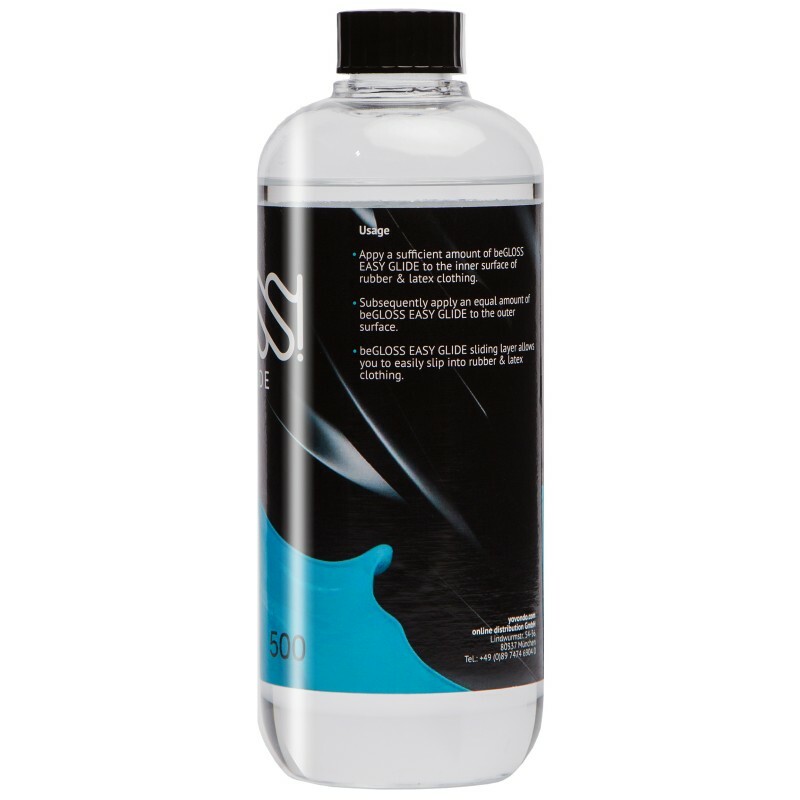 The amazing sliding features enhances the stimulating feeling on the skin. Enjoy the sensational „Slip-in“ feeling! Already at first use, experience the pure glide feeling getting into latex. This sensational and stimulating feeling is long-lasting!